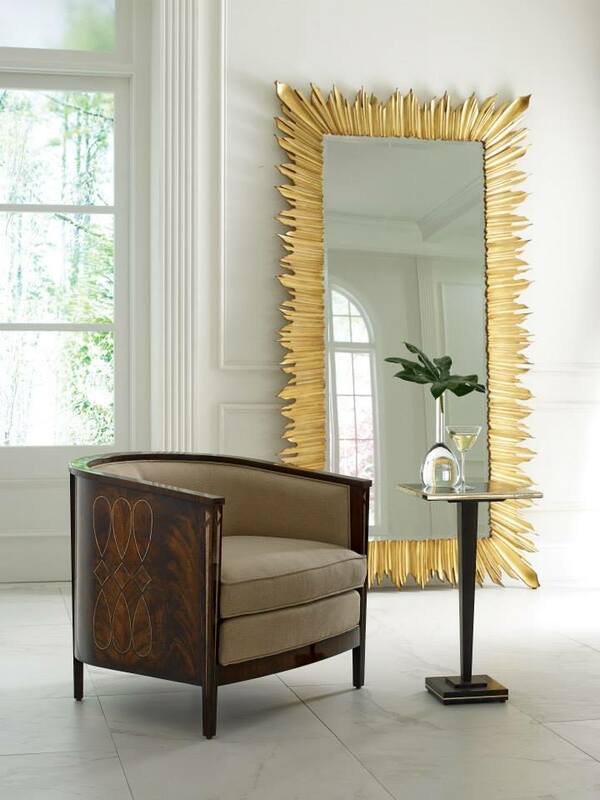 Jonathan Charles Fine Furniture mixes the beauty of antiques with a modern flair to create a unique blend of craftsmanship: While pedigreed, the furnishings also have an originality about them. 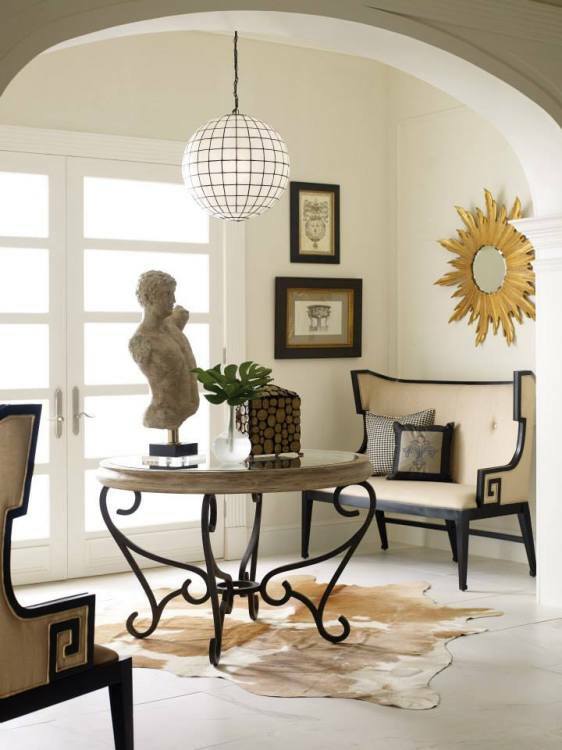 Jonathan Charles’ latest upholstery setting, for instance, shown above, marries neoclassical designs with vivacious fabrics for a refreshing look that blends traditional formality with whimsy. Often, a dash of glamour is added, as with the full length floor standing Versailles mirror above and its smaller round version, shown again, below. 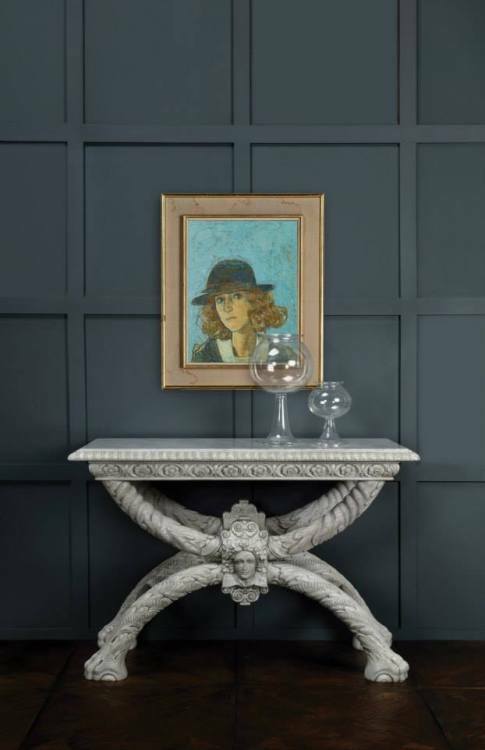 Historical authenticity blends with contemporary relevance in pieces like the Eden console table from the George III period, below, featuring a pedigreed clawed foot, yet with modern scale and function and the William Yeoward designed shield back chairs next to it are a perfect compliment. 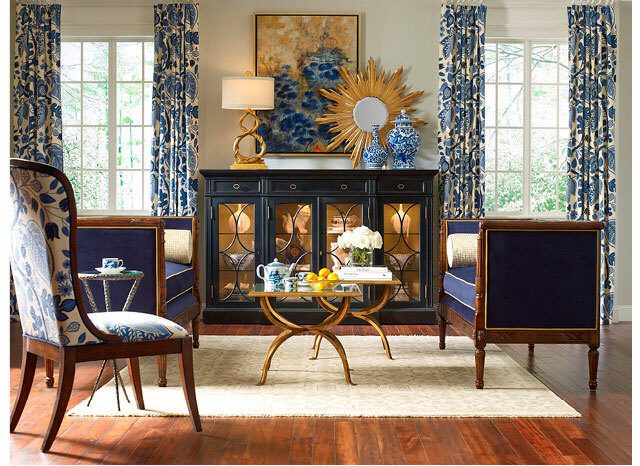 Founded in 2004 with just 10 employees, Jonathan Charles Furniture has grown exponentially to over 2,000 employees today and recently completed a 380,000-square-foot expansion of its production facilities where artisans craft beautiful European antique reproduction furniture. 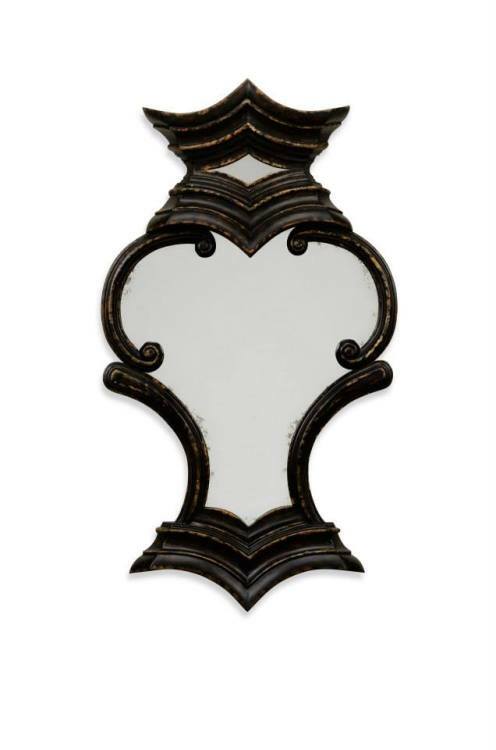 The Sandos mirror, below, which is part of the William Yeoward Collection for Jonathan Charles, is crafted of distressed acacia and is a rendition of an 18th Century Italian piece. As part of the obsession with details, Jonathan Charles even makes all of its own hardware in an in-house brass foundry. 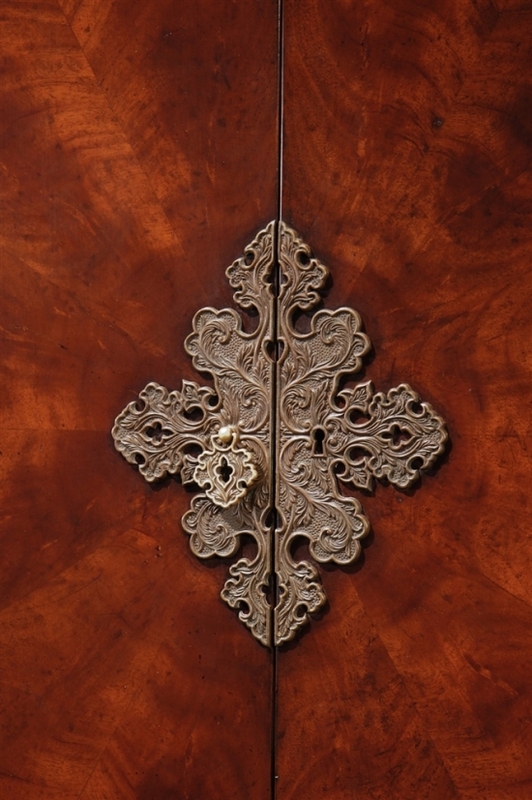 “When we design a new piece of furniture, we can also design one-of-a-kind pulls, hinges, locks and even keys for that piece,” Sowter said. 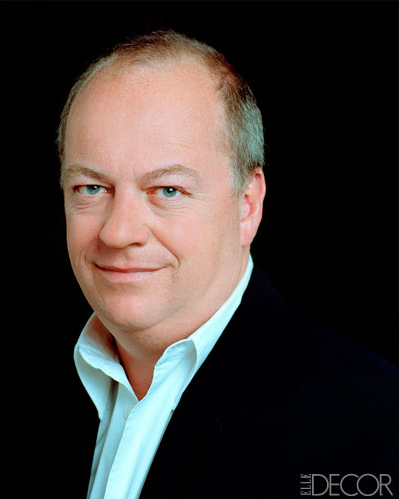 Over the years, Jonathan Charles has partnered with some iconic designers like Alexander Julian and tastemaker and designer William Yeoward, one of London’s most highly respected creative forces, known for his exquisite crystal and dinnerware. 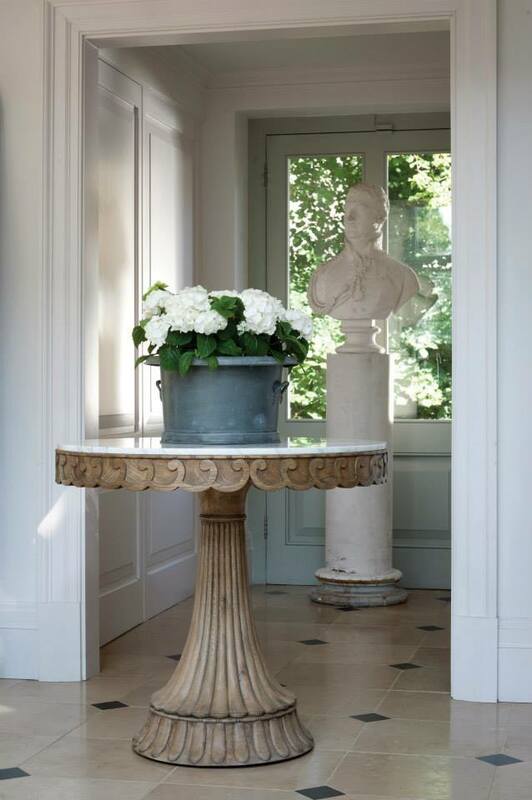 The Dalkieth Table, with its hand-carved oak base that is fluted, chiseled and sanded and topped with Carrara marble, is also from the 80-piece William Yeoward Collection, and is shown below. 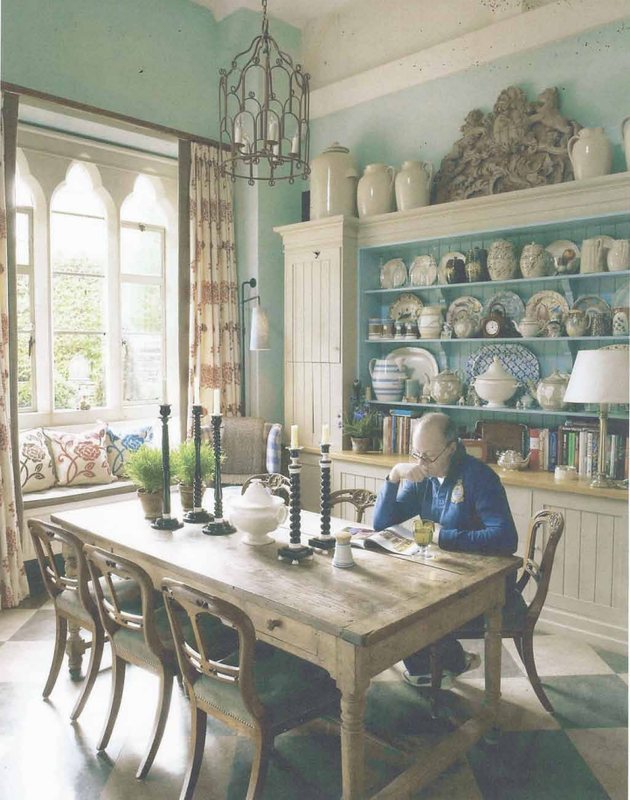 Also part of the William Yeoward Collection for Jonathan Charles is the Tenbury Game Table, the first-ever #HadleyCourtHoliday Giveaway. 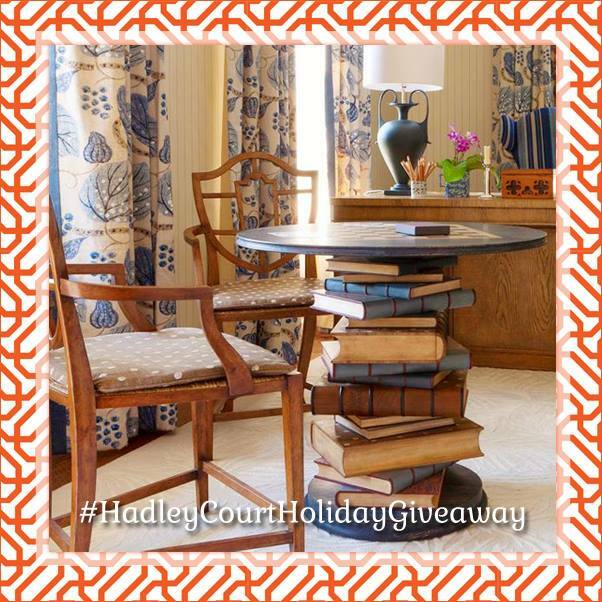 Our #HadleyCourtHoliday Giveaway is currently underway, but ends on December 20, so we hope that you will hurry to enter to win this delightful table with its chessboard top and hand-painted-and-carved *stack of books* base that contains hidden drawers! To receive one entry to win the Tenbury Game table for your own homes or executive library , simply enter on the form here. And to increase your chances of winning, here’s how to receive TWO entries: Subscribe to the Hadley Court blog here, then come back to the giveaway form here and submit your email address for verification. This earns you an additional entry to win the Tenbury Game Table! The winner will be chosen in a random drawing after midnight on Saturday, December 20, 2014 and announced on the Hadley Court Facebook Page and blog on or about December 23, 2014. 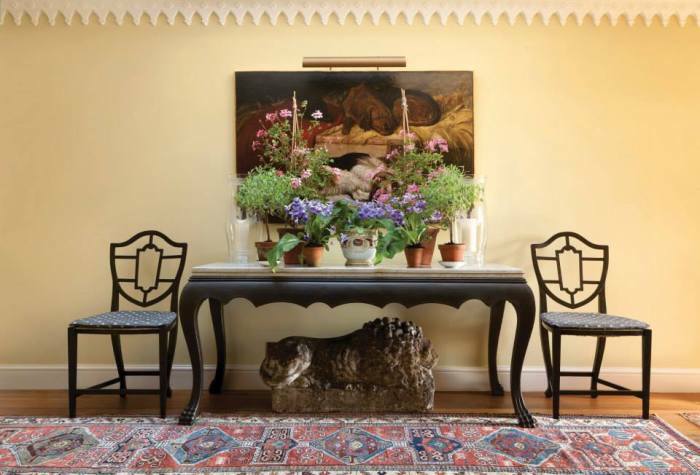 The Hadley Court team is proud to partner with Jonathan Charles Furniture, and greatly appreciates Jonathan Charles for making this giveaway possible to you, our readers, at such a special time of year. 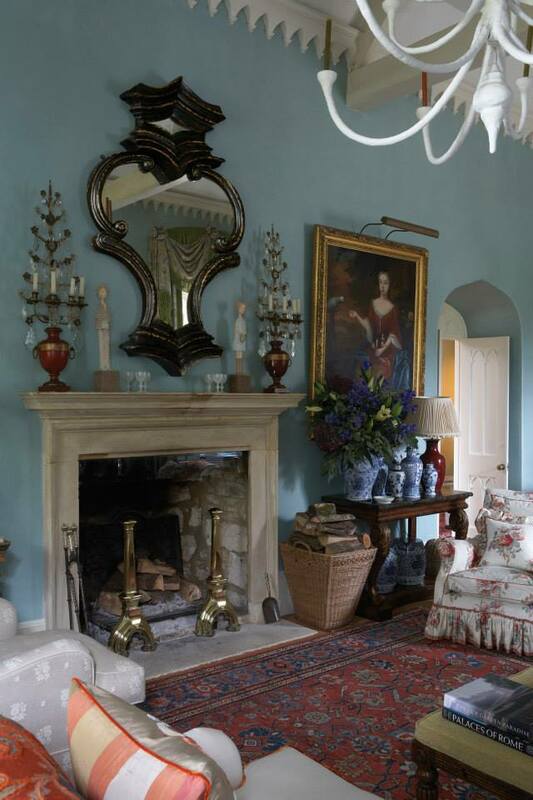 And thank you, William Yeoward, for designing such beautiful pieces of furniture. 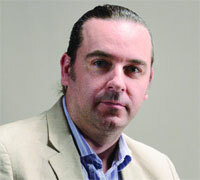 Please visit Jonathan Charles’ website here and we invite you to follow them on Facebook, Twitter, Pinterest . Very nice post Kim for Leslie! I specify lots of Jonathan Charles pieces for my clients!